Keenan Robinson has been named to the position U.S. National Team High Performance Director: a new position announced by USA Swimming on Thursday. Many of the top swimming nations in the world have previously had a similar role, but the position is new to the United States. The role, which is heavily founded upon Robinson’s science-based background, will involve working with the National Team staff and providing information, programs, and services to optimize performance. Robinson has served on the last two Olympic staffs as the U.S. swim team’s head athletic trainer – and this role will be similar, but expanded on a broader scale. “It is a tremendous honor to serve the USA Swimming membership,” Robinson said. “The High Performance staff and Sports Medicine and Science Network are the absolute best in the world and its humbling to join this esteemed team. Robinson has made his mark by working with the Bob Bowman-led group that includes Olympic gold medalists Michael Phelps and Allison Schmitt (formerly the NBAC elite group, now based out of Arizona State) since 2004. Robinson himself was primarily a football player, including at Adrian College in Michigan, but is married to 2004 Olympian Kalyn Keller. Aside from over a decade of experience in various training and medical services roles in swimming, he also spent a summer as an athletic training intern with the San Francisco Giants of Major League Baseball. 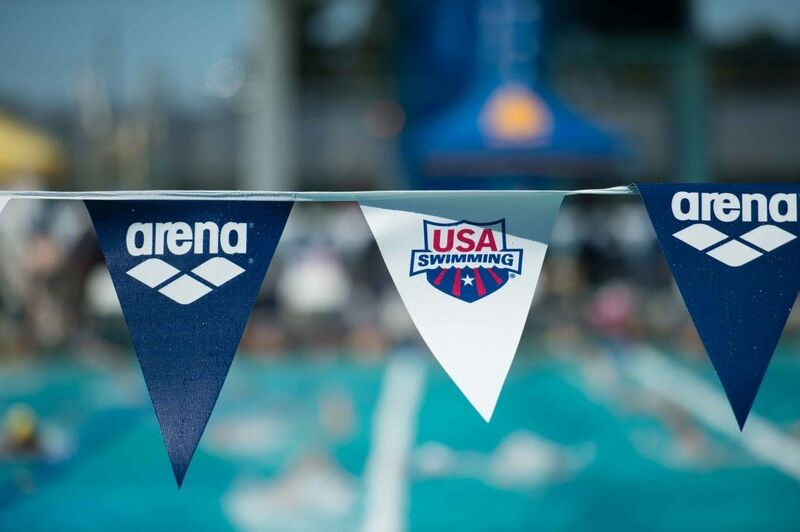 COLORADO SPRINGS, Colo. – Keenan Robinson, two-time head athletic trainer for the U.S. Olympic Swimming Team, has joined the USA Swimming staff as National Team High Performance Director. In the newly-created position, Robinson will aid the National Team in achieving international success by providing information, programs and services that will help coaches and athletes make decisions that are optimize performance. Key aspects of Robinson’s role include the management of USA Swimming’s High Performance staffing at key competitions and camps; overseeing the organization’s Sports Medicine and Science Network; providing individualized National Team coach and athlete support; and managing the competition and performance support at a variety of domestic and international events. Serving as head athletic trainer for the 2016 and 2012 U.S. Olympic Swimming Teams and numerous international trips with USA Swimming, Robinson was responsible for the well-being of the entire roster of swimmers in both preventive care and treating acute needs to allow them to compete in top physical condition. Robinson comes to the national office from Arizona State University, where he was head of high performance services for aquatic sports. A longtime member of the North Baltimore Aquatic Club staff as director of athlete services, he worked with Olympic gold medalists Michael Phelps and Allison Schmittand as a key advisor to Head Coach Bob Bowman. A 2002 graduate of Adrian (Mich.) College and a 2005 graduate of the Arizona School of Health Sciences, Robinson was assistant athletic trainer for swimming and diving at the University of Michigan and an athletic trainer with Club Wolverine. Robinson is married to 2004 Olympian and University of Southern California All-American Kalyn Keller. The couple has a two-year old daughter, Regan Molly. Im confused. What “support” and “programs” will he offer exactly? His job description is vague. Is he providing athletic training type services at meets? I know he did cupping w Phelps and some National team athletes. Dont high performance directors typically have a coaching background in most countries? Is he the equivalent of Jacco?